The Office of Development advances the mission of UTHealth by seeking and securing philanthropic support for its programs in service to students and society. The office comprises four giving programs—Annual Giving, Corporate and Foundation Relations, Major and Principal Gifts, and Gift Planning, as well as offices in each of the six schools and major institutes. We are looking for a Director of Board Engagement & Volunteer Relations to oversee the strategic development and implementation of effective volunteer relations programs for the benefit UTHealth. Please click on the link above for more information. The Office of Development is searching for a Director of Corporate & Foundation Relations to develop, implement, and evaluate comprehensive fundraising and advancement efforts for identification, cultivation, solicitation, and stewardship of regional, national and international foundations, corporations, organizations, and/or associations. We are looking for a Data Management Coordinator for our Development department. You must be a database pro who can focus on accurate information and very detailed work. You will maintain prospect and donor records, including biographical and contact information, activity participation and other information specific to the Office of Development’s fundraising database (Raiser’s Edge). A critical role is that you must be able to ensure data integrity. The employee designs and runs queries and reports. You will also document data management processes and procedures. 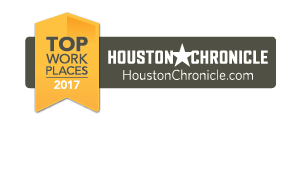 As one of the most comprehensive health leaders in the Texas Medical Center, UT System and the U.S. Gulf Coast region, UTHealth offers health care professionals of all disciplines an outstanding work environment. Our talented researchers, educators, clinicians and professionals are committed to building healthier communities in Texas and around the world. While we take a multidisciplinary approach to care, each individual at UTHealth has the opportunity to make a difference by bringing expertise, innovative thinking and dedication to the challenge of advancing human health.